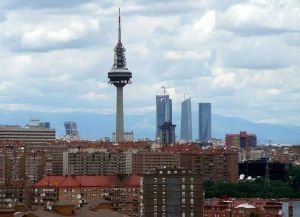 Public procurers are invited to visit the Spanish capital of Madrid on 24 June to see first-hand how a publically owned building was renovated to the highest energy-efficiency standards using an innovative kit developed by the iNSPiRe project. The EU-funded project has developed kits capable of reducing the primary energy consumption of buildings which can be installed while occupants remain inside. Procurers will gain a valuable insight into the latest innovations on the construction market and will learn of the challenges faced and solutions achieved in renovating a municipal-owned residential building. The case study building has been converted to nearly-zero energy with minimal disruption to residents. Participation in the event is free of charge, but early registration is required to secure a place. Participants are responsible for their own travel and accommodation arrangements. The EU-funded iNSPiRe project aims to decrease energy consumption in residential and office buildings through the application of innovative methods. Park Won Soon, Mayor of Seoul and President of ICLEI - Local Governments for Sustainability, outlines the transformative measures needed to improve air quality and address climate change in an article in a recent edition of the UNEP publication Our Planet. Mayor Park uses the South Korean capital of Seoul, Chair and Founder of the Global Lead City Network on Sustainable Procurement, as a strong example of an urban area that is embracing change to meet environmental and social challenges. 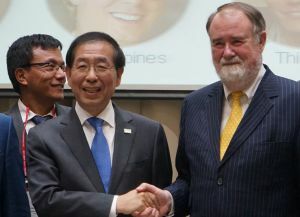 In the article, Mayor Park discusses how Seoul is on the road toward a "new urbanisation" which creates a sustainable city that enables humankind and nature to coexist, tackles climate change and establishes a foundation for energy self-reliance. Mayor Park concludes the article by highlighting the importance of cities acting together, citing his leadership within ICLEI and engagement with the Compact of Mayors as important steps in coalition building among cities. The second session of the United Nations Environment Assembly of the UN Environment Program (UNEA-2) is ongoing in Nairobi, where UNEA delegations are discussing how the world can deliver on the environmental dimension of the 2030 Agenda for Sustainable Development. This year, the event is focusing strongly on air quality as a central issue in creating a healthy environment with healthy people. To read Mayor Park’s article in full, click here. The Association of Flemish Cities and Municipalities (VVSG), supported by the Flemish Government, awarded this January prizes to cities that consciously implement a sustainable procurement policy. Ghent, participant of the GLCN on SP network was honoured for a painting contract. 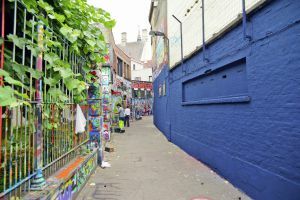 Ghent installed a small contest to decide on the right framework contract for the sustainable painting the city plans to carry out. On the one hand, this contest ensured less administrative expenses and, on the other hand, it guaranteed the use of low-impact products through the inclusion of particular environmental criteria in the technical specifications. The city of Roeselare was declared “Laureaat Duurzame Overheidsopdracht” (Laureate Sustainable Public Contract) by the VVSG thanks to their long-term commitment to a sustainable fleet management through some thirty tenders. Roeselare also received the durable award in the form of a pack of cradle to cradle products that have been specifically designed to be safe and reusable from start to finish. Three other cities were honoured for their sustainable framework contracts: Courtrai, for the periodical testing of their ecological fire extinguishing equipment; Antwerp, for the procurement of eco-friendly paper hygiene products, and Sint-Niklaas, for their use of low-impact materials to make toys for the St Nicholas celebrations. The Metropolitan Area of Rome (Italy) has published a pricing list for sustainable construction materials based on an analysis of the materials’ availability, while also introducing a new GPP monitoring system, the first of its kind in Italy. In Italy public works are estimated on the basis of regional price lists. The Metropolitan City of Rome, in response to the challenges of a lack of information on local market readiness and costs when introducing environmental criteria into public works tenders, carried out a detailed analysis on the availability of low environmental impact construction materials at national and regional level. The Metropolitan City approved a new price list based on the results of this analysis to be adopted as a reference for public works. Rome has also introduced a new monitoring system to efficiently assess the achievement of GPP objectives. 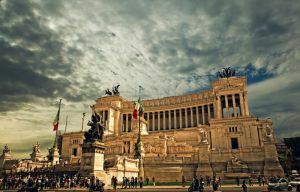 The Metropolitan City of Rome is the first public authority in Italy to adopt this innovative monitoring system. For more information, visit procuraplus.org. Norway has pledged to provide Liberia with $36.7 million to help the African nation manage its forests more sustainably. The money aims to help change the current commercially focused forest management scheme to one that embraces sustainability principles, such as conservation and providing social value to the surrounding area. Titled the Liberia Forest Sector Project, the scheme is backed by the World Bank. 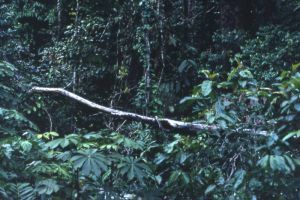 Up until 2006, Liberia had been prohibited from selling timber products under UN sanction, as proceeds were used to finance the country’s prolonged civil war. Today, the sustainable management and sale of timber products is set to play a significant role in the country's post-Ebola economic recovery. 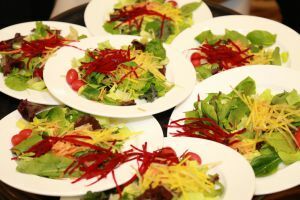 In just one month’s time, the Sustainable Catering Forum will bring together a wide-range of participants working in the field of sustainable public procurement, such as public procurers of food and catering services, local and regional government representatives, catering suppliers, researchers and more. The event will take place on 9 June 2016 in Ghent (Belgium). The primary objective of the Forum is to give participants a space to learn from each other, exchange experience, and build new alliances for the changes needed to respond to the environmental, economic and social challenges that city-region food systems face. Guidance and experiences gathered over the last three years from the European INNOCAT project, which focused on purchasing eco-innovative catering and food, will be on show throughout. Topics to be discussed include transforming school food services to healthier and more climate-friendly alternatives, minimising the environmental impact of hospital catering services, and reducing food waste and packaging. The draft programme is now available; registration can be completed online. 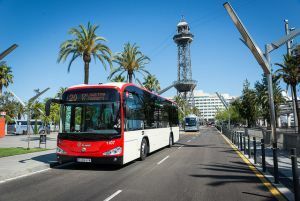 While Barcelona’s (Spain) network is already one of the cleanest in Europe thanks to its hybrid and Compressed Natural Gas (CNG) buses and the retrofitting of its diesel vehicles with particulate filters, the public transport operator Transports Metropolitans de Barcelona (TMB) has decided to integrate fully-electric buses into its fleet. This started with the purchase of a BYD K9 bus and two IRIZAR buses. A tender for two additional electric buses was subsequently published in January 2014. These two extra buses (along with the IRIZAR buses) are part of the EU-funded ZeEUS project which aims to introduce electric buses into the fleets of European municipalities. 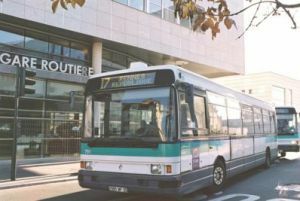 The tender clearly specified that TMB would buy electric buses, whatever their type (battery, on-road charging or hydrogen fuel cell) and their length, together with the necessary charging stations. Other technical specifications related to the battery range as the buses must be capable of providing an air-conditioned service for 16 hours per day. Then, after considering these exacting specifications, the award-criteria set for the tender was based on price. TMB chose to purchase two 18 metre-long Solaris Urbino, designed for 120 passengers each. The buses are charged at each end of the line. This charging system allows lighter batteries to be used onboard and, consequently, is more energy-efficiency. For more information, visit Eltis. UNEP, ICLEI and KEITI, cordially invite you to participate in the 2016 Global Review of SPP Stakeholder Survey. -	How much has sustainable procurement grown and evolved? 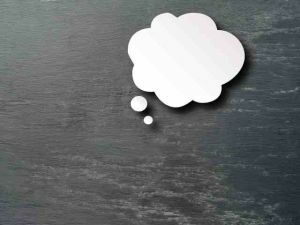 -	What kinds of activities count as sustainable or green procurement? -	What are the trends in key drivers and barriers? -	How different are sustainable purchasing programs worldwide? -	What resources and programming should be developed to advance sustainable procurement? With your help, we can start to answer these questions and more! To do so, click on this link and start the survey here. The survey is open until June 10, 2016. Results will be shared in the forthcoming 2016 Global Review of Sustainable Public Procurement. If you have any questions about the survey or the broader 2016 Global Review of SPP, please contact Dr. Anastasia O’Rourke at aorourke@indecon.com or Irina Uzun at Irina.Uzun.Affiliate@unep.org. The Swedish city of Borlänge has launched an EU-wide tender for the renovation of publically owned apartment buildings. The tender has been prepared as part of the EU-funded PROBIS project, which helps local authorities to procure innovative solutions to improve energy efficiency when renovating building stock. The tender is open for applications until 27 May 2016. The procurement will see the installation of an innovative new ventilation system in an existing apartment building, as well as reconstruction and sealing of the current ventilation, recovering previously-wasted heat. One of the tender requirements is that tenants are able to stay in their homes during the renovation process. 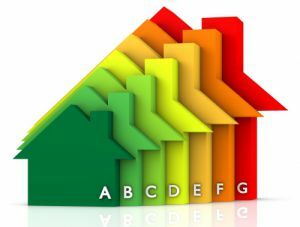 The primary expectations for the solution are: a ventilation system that is flexible, energy efficient, quick and easy to install, which does not take up too much space in the building, is based on components that are easy to obtain and replace, and which has a simple and low frequency maintenance. The PROBIS project aims to increase the energy efficiency and sustainability of European public buildings through innovative solutions. For more information, visit ted.europa.eu.